Last week, The Washington Post ran an op-ed entitled "The exotic new weapons the Pentagon wants to deter Russia and China." Pentagon officials, the piece explained, have begun talking openly about the artificial intelligence and robotics-assisted super soldiers meant to combat the Russian and Chinese militaries. But what is Russia's response? On Tuesday, Washington Post columnist David Ignatius wrote a piece where he suggested that "amid the daily news bulletins about the Islamic State and Syria," few noticed the Pentagon "push for exotic new weapons that can deter Russia and China." Referring back to an article from earlier this month by Defense One on Defense Secretary Ashton Carter's vision for the technology areas the Pentagon considers vital to maintaining its global military superiority into the next decade, Ignatius pointed out that in recent weeks, officials have made "a series of unusual recent disclosures about what, until a few months ago, was some of the military's most secret research." "Pentagon officials have started talking openly about using the latest tools of artificial intelligence and machine learning to create robot weapons, 'human-machine teams', and enhanced, super-powered soldiers," the columnist explained. "It may sound like science fiction, but Pentagon officials say they have concluded that such high-tech systems are the best way to combat rapid improvements by the Russian and Chinese militaries," Ignatius added. Speaking to The Washington Post, Deputy Secretary of Defense Robert Work emphasized that the latest weapons systems developed for the Pentagon "will make our battle networks more powerful, hopefully, and inject enough uncertainty in the minds of the Russians and the Chinese that, you know, if they ever did come to blows with us, would be able to prevail in a conventional [non-nuclear] way." 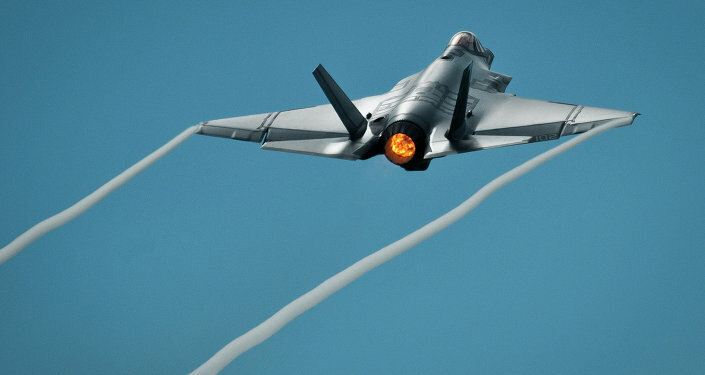 Ultimately, Ignatius noted, "the Obama administration, sometimes chided for being slow to respond to Russian and Chinese threats, seems to have concluded that America's best strategy is to leverage its biggest advantage, which is technology. The concepts," he noted, "are reminiscent of President Reagan's 'Star Wars' initiative, but 30 years on." Commenting on Ignatius's piece, and the Pentagon's talk about its 'exotic' new future weapons, independent Russian newspaper Svobodnaya Pressa suggested, jumping off from the comment about the Star Wars initiative, that the US endeavor could nothing more but a campaign of hot air-blowing. 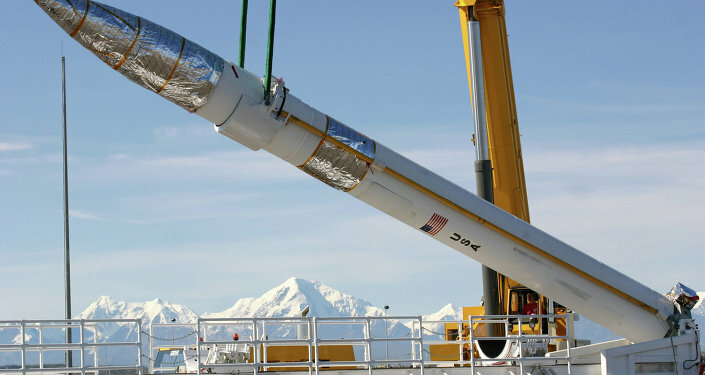 "It's worth recalling," the online newspaper noted, "that in March 1983, President Reagan announced the start of a long-term program known as the 'Strategic Defense Initiative.' The program was aimed at the deployment of offensive and defensive systems in space, which would make [Soviet] missile strikes against North America impossible. 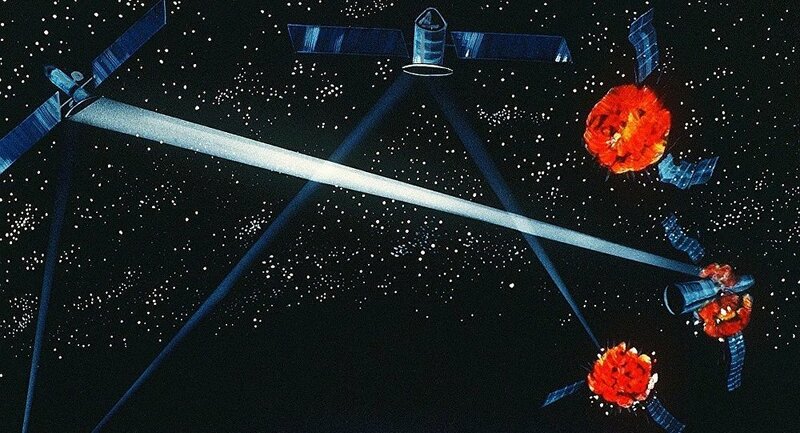 Among the designs which were proposed were combat space lasers, orbital mirrors, neutron particle emitters and other objects, about which only science fiction literature had previously written about." Soviet space-based strategic defenses; DIA artist's rendering from the 1980s. "To this day," the newspaper noted, "there remains to be a successful implementation of a missile defense system based even on the use of conventional missiles," much less the fantastical designs described by the Star Wars program. "To many experts," Svobodnaya Pressa noted, "it quickly became evident that Reagan was trying to pass off an absolute fairytale off as truth. Nevertheless, the Soviet leadership, in the interests of maintaining parity with the US in such implausible technologies, was drawn into an arms race. How realistic is it that the Americans have succeeded in creating these new 'exotic' weapons? And is it possible that we may again join a new, pointless arms race?" Looking for answers to these questions, the newspaper turned to Igor Korotchenko, a respected Russian military analyst and editor of the magazine 'National Defense'. "All military projects being developed by the United States are in the line of sight of the Russian Main Intelligence Directorate and the Foreign Intelligence Service," Korotchenko emphasized. "These agencies closely evaluate the course of America's technological progress [in the military sphere]." "Therefore, the Americans are not able to create anything surprising or unexpected without Moscow noticing…If any new potential threats to Russia arise, adjustments are made to our state arms program, the defense order, and any technical specifications in the defense sciences." "In any case," Korotchenko noted, "we are not engaged in an arms race. Russia's strategy is to parry (counter) and neutralize any threat, not to compete with the United States in developing military technology. It is impossible to find ourselves in a situation where we wake up tomorrow and discover that we are totally vulnerable." Asked by his interviewer why the Defense Department has decided to increase its open talk about its new exotic future weapons, the military expert explained that "all of this is routine work in lobbying the Pentagon's interests, and we should not look for some special significance in the comments. Maybe articles about such 'miracle weapons' are needed by some congressman, who will then begin crying about the need to ensure the superiority of the army." "In any case," Korotchenko explained, "Washington's goal is to achieve a clear advantage over China and Russia, so that they can dictate their terms to the rest of the world. The case was the same in 1945, when the Americans tested their nuclear bomb, and then four years, enjoyed a nuclear monopoly. But the Soviet Union was able to neutralize the threat by deploying additional tank and combined arms units, making sure that the Americans did not have superiority, even if they did become the first to use nuclear weapons." "Today, the conceptual framework is somewhat different. We use our intelligence to reveal promising US military programs and to give them a proper assessment. And in places where a real threat, rather than a bluff, is found, the necessary measures are taken to neutralize the challenge. In any case, a system of control exists monitoring the direction of [military] developments in the United States." For his part, Boris Usvyatsov, the head of the Expert Council on Defense under the Russian Parliament, suggested that Pentagon officials' talk says nothing more than the fact "that the Americans have started another PR campaign." "Of course, the idea that America has some amazing designs that nobody else has sounds good, but in reality, there's nothing behind the talk. Yes, we're living in the 21st century, and electronic systems and automation have tremendous importance. But the human being will always be at the core; there is no alternative to the human being." Asked whether the Pentagon really hopes that Moscow and Beijing will really be naïve enough to fall into a foolhardy new arms race, Usvyatsov explained that, "first and foremost, the Americans are working on framing public opinion" at home. Masters of propaganda, US officials and media are capable of "inflating any bluff to unprecedented proportions."